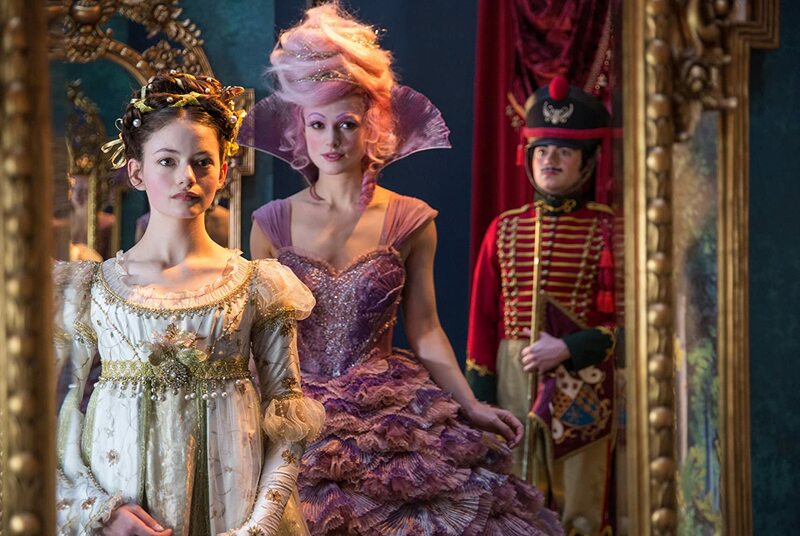 Unlock the magic and discover the mystery as Walt Disney Pictures releases the official theatrical trailer (or trailer #2) for their upcoming film The Nutcracker and the Four Realms. View trailer below. I was hoping that a new trailer for this movie would be released sometime soon, which “now” being soon. This trailer, while shorter than the previous one, explains a bit more of the story’s narrative plot as well as plenty of new footage. Like I said before, I never really actually seen the stage play of the Nutcracker or even read any novelizations of the story. However, I have seen plenty of cartoon adaptations of the Nutcracker to have a understanding of what the story is about. All in all, The Four Realms looks quite interesting and I look forward to see it (and review) it when it comes out early November. I’m not sure how into this one I am…but I guess we’ll see! Haha…I hope it’s good. However….there’s always that lingering doubt. I have never cared for the Nutcracker, but this looks too awesome to pass up. I look forward to your review. Personally, I remember seeing the Nutcracker play when I was younger, but found it boring. However, I do love the Nutcracker music. So, hopefully the movie has that….lol!